Firstly, may I just say that I freaking LOVE Doctor Who, and as such, our Bella has just further cemented her place in my heart as the best thing ever in the world. Secondly, as I said to Bella after she had e-mailed me her piece, I truly believe that she is getting better and better with each submission. It’s exactly what we’d hoped for when we thought about having a ‘real bride’…someone who drew you into their story, who made you feel their excitement, their anxiety, their hope. That’s exactly what Bella has done. With just 8 months until the moment arrives, Bella is drawing us ever deeper into her world…and it’s a fabulous place to be, readers. It is now the year I am getting married. Not the year before. I can no longer say ‘next September’ when people ask when the big day is. It’s just September. This September. 8 months to be exact. That’s 7 of these posts left, 7 paychecks, a planned 80 trips to the gym (ha!) and approximately 14 copies of Heat magazine (I don’t buy it every week). It’s also £100 on anti-cellulite cream and £50 on spanx due to the (roughly) 72 gym sessions skipped and over 500 hours of wedmin-ing. The first six months of our engagement was all about the feelings – in both brilliant and rubbish ways – but in truth it’s probably time I started nailing down those all important details. Invitations, décor, the practical bits and pieces…. The dress. Our ‘theme’ has shifted slightly from vintage country fete with a hint of 1930s glam, to full on 1930s glam with a country fete plonked on top of it, like Doctor Who when he turns up at Agatha Christie’s party – you know, the one with the giant alien wasp? Historial inaccuracies (from myself and the ‘Who) aside, we still want a relaxed, outdoorsy, slightly rustic feel, but with lashings of art deco styling, crystal perfume atomisers, a whisky bar and, er, lemon sherberts. None of this will be a surprise to you AOW-ers, but wedding planning has given me a total wedlife crisis. I swore I wouldn’t be one of those brides who gives herself an ulcer worrying about the exact shade of vintage rose ribbon (although I did find it in Elys in Wimbledon. Not using it though.) Well ha to my first-flush-of-engaged-goodness self. Ha, I say. I’m not sure what the right word is for how I am feeling, stressed would be too strong, worried too weak: I have concerns that it won’t be fun, and am second guessing every single decision to see if it is ‘us’ enough. Well pish to us (sorry, Betrothed) because honestly? We kind of just like stuff. Salmon and lamb aren’t ‘us’, we just like them (and are having them) so why on earth am I trying to ensure that every single piece of ribbon and stationery, the placement of napkin ties and of course, the dreaded favours, encapsulate a four year relationship that has had incredible times, some tough ones, and reflect two people’s tastes? I find the nights the hardest. 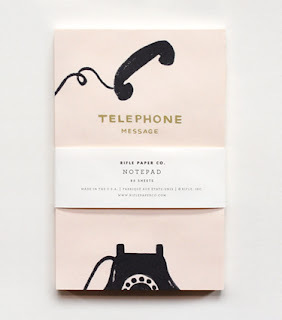 During the day I am happy with the decisions made (the fab Telephone message pad I bought at Liberty as a potential guest book stylee thing, the wallpaper samples I found that have inspired the invitation patterns) but the nights? Oh, the nights. I don’t want to regret a single decision, and I want Betrothed to have an amazing time. And I want my parents to be relaxed and happy. And I don’t want to drive my bridesmaids mad. And I don’t want to spend the next 8 months nurturing that ulcer. I just want everyone to have fun. That’s a lot of wants isn’t it? “Life is full of amazing moments, but if you don’t stop and look around once in a while you might just miss it” – not a random divergence, I’m watching Independence Day (I used to think I’d marry Will Smith, when I was 15. Yep, 15 and delusional) and that little voiceover quote just popped up on an advert. I couldn’t put it better – I want to enjoy this once in a lifetime period of engagement, and not spend every week feeling this fear that I’m going to let everyone down. I think, with very wise tough love from Anna K and Gemma, and of course the knowledge that so many bridelets have been through this exact same period of self-doubt, I can come to understand that there are eleventymillion options out there and whatever I choose will be ‘right’ for us, simply by virtue of the fact the we chose it. However, there are a few sticking points I would really love some input on! To wedsite, or not to wedsite? Many of our guests are traveling from abroad, and a wediste would probably be useful in some respects, but do people actually look at them? Do guests actually RSVP through them? Or do they think they are a wee bit self indulgent? And the bride wore… green? A very good friend of mine convinced me not to wear green (not strictly just green – Jenny Packham’s Joy dress in silver and green…) after I went on a mammoth googling session having realized my beloved dress from Phase Eight just was not going to work – as it’s a definite no now, this was her. Lush. Have any of you fab ladies not worn white? If so, did you feel you’d missed out on some magical white dress moment? I’m not thinking of wearing bright blue, or fuschia pink (although if you did, let me see), but I definitely don’t want white. I have recently discovered Sue Wong, whose dresses are that perfect blend of art deco glam and relaxed elegance, see how pretty! But I feel possibly too pale for me. The embellishment is amazing though! Plus… who? Betrothed and I are classic includers (with a guestlist of 207 and counting) – because we hate hate hate leaving people we care about ‘out’. But what of their plus ones? We made a rule when we drafted the guest list: if we knew a friend’s significant other they would be invited, or if a guest wouldn’t know anyone it was only fair to ‘plus one’. But how do you define ‘know’? Met once at the pub? Know the name of? Facebook friends?! We recently added two guests to our list – a groomsmen’s girlfriend (who is gorgeous and wonderful and I love – which is handy as we are having a wedding party table!) and a cousin’s girlfriend who will be meeting the entire family (his side, so the big side) at the wedding. Including both of these gorgeous girls is genuinely my pleasure - I have been a plus one at two of Betrothed’s family weddings and not only were they brilliantly fun, but it really cemented me with his friends and family – important in a fledgling romance. But I am feeling an uneasy sense of guilt over friends who I know are seeing someone, but I haven’t met/haven’t heard a great deal about – are we dreadful for not ‘plus one-ing’? I have asked a couple of friends, with partners we don’t know at all, and they have been unendingly supportive about this – it’s not personal and it really is about space, cost and practicality, not about upsetting them or excluding their loved one. But I know there will be a few annoyed faces when the invites do arrive and that really upsets me. I feel like I have to justify every decision. What do you think? Did you have a ‘plus one’ rule at all or was it the more the merrier? Did you (hushed tones) have a reserve list? Any advice/wise words/similar dilemmas to share? Oh and if any of you feel like passing by the field on September 7th THIS YEAR and are handy with a length of ribbon, oasis for flowers and like going up ladders let me know, as I have just found my CAD marquee plans and the marquee is 48 metres by 60 metres… which I am in charge of decorating. No sweat, right?! Ah, thank you for saving my sanity! We spent all weekend trying to find a venue that is the right size, practical and still 'us' – nightmare! Also, I'm not planning to wear white/ivory either. Plus ones for partners you've actually met or they've been seeing for a year or more. Only exception was for folks who weren't going to know many people at the wedding, who might want to bring a buddy. Amy I feel your pain! We went through about 4 different scenarios – I wrote about it on my lil blog, and found that once we started working backwards things started falling into place. The most important thing for us was that our guests were able to party the night away without us paying extra after 11.30pm charges: which canceled out loads immediately. Then I asked F to describe his ideal wedding party and he said 'just a big relaxed hooly with a barbecue' and the field seemed to be the obvious choice. I also found a song that encapsulated everything I wanted from the day- Caro emerald's 'Dr Wannado' and that just made me think of the style and overall feel of the day…. Is that weird?! Sorry that sounded a bit bossy, meant to say that's how we did it, obv! I think its helpful to have some rules so you don't end up stressing yourself into a hole, and you can justify it if anyone asks. Like Penny, we had a website but made it a bit tongue in cheek as I felt a bit silly doing it too- but people did use it! We also put the official pics up there. For plus ones, we went with the rule that we both had to have met them- it worked out pretty well. And please, please don't worry too much- I know it's damn near impossible not to but try to enjoy these last few months, focus on the fact that you're getting married! Yipeeeeee! The song thing totally makes sense to me! Also, penny I want to see please! Ha, Gemma, let's go into business as the tough love duo! I've gone from freaking out about the way the napkins are folded (sorry Anna) to having to find a new venue. It's put everything into perspective on numbers and decor. Firstly, I would marry TBTMMO tomorrow in a shed. No decor needed. So we're stripping things back and getting rid of the fluff (I blame other blogs). Secondly, in our faux shed wedding, who do we want there if we could only have 50 (we have 150-60 and counting at the moment). The first people we eliminated were plus ones. We're having those that live together, or who have been together for yonks (and therefore we know them as a couple). However, for TBTMMO's football team mates, they're coming as a large group and therefore, no girlfriends. On the whole green joy dress thing you need to google Chloe Brown at Caught the Light 'green' and 'joy'. One of my favourite weddings of all time. And the bride wore that exact dress. Although my friend tried to buy it from JP a few months ago and was told they don't make it anymore. The new colour is blue and silver? Thank you all, you wise lasses you! Oh Becca I can completely empathise, for legal job reasons I can't go into the details on here, but the majority of the money for the wedding was pulled out from under us and it definitely made us put certain things into perspective. (Not all things, as the blog shows! We had signed most of our contracts already…) I can't wait to hear more about your big day! Firstly, felt a little bit excited when I saw that today's AOW post was a Bella update. And secondly, I totally agree with Aisling that you're getting better and better, Bella. Well done you. Wedsite: Yes, do it. We were so excited about ours and only gave it as a RSVP option on our invitations, in an effort to save paper. In reality, most people RSVP'd in the form of a card (through our parents, which really p'ed us off, but that's another story), but at least it meant that we didn't have to send a massive, heavy envelope with all the details in to everyone. Dress: As an aside, how stupid is it that Phase Eight don't stock their dresses in any of their shops?! Wear what you feel incredible in. I think that there will be an ivory/silver-y/pale shade that will suit you, but I don't think you'll regret not wearing white in 10 years. The only thing I will say is that you will get loads of comments about your choice – positive and negative – and I would find that difficult to manage. As for plus-ones, our rule was we had to meet them. Once we'd met them, they could come. It worked pretty well as we told everyone this way before invitations went out, and we only made 2 exceptions – a school friend who was thinking of not coming and wouldn't know that many people and my step-sister. And one last thing in relation to Anna's point about napkins. For some reason, that was something that I spent hours looking for, finally finding someone who would sell me 30 packs of Emma Bridgewater heart napkins (not such a bargin, let me tell you). I had the whole table planned out, with the napkins as one of the main parts. Two days after the wedding, I found the box of napkins, unopened. Turns out people managed to have fun *without* my perfect napkins, who would have guessed it?! We did plus ones for people in relationships and people who wouldn't know anyone else. In our case there was a only a couple of people who gave plus ones to. Also, speaking of reserve list, we only had 2 people decline our day invite as they were on holiday, and about 6 evening guests so I wouldn't always rely on reserve list! Bella, I'm sure your wedding will be amazeballs. We had plus ones, if they'd been together for more than six months. We invited one friend with plus one, even though we hadn't met her. She was lovely, so I'm glad we asked her. We didn't have a reserve list, we just invited everyone we wanted, there will always be some who don't come. We asked 153 people and ended up with 137 for the day. Our marquee was 60ft x 40ft, and the decoration all came together last minute. We decorated it with lillies in tall vases on the tables, white table clothes, white napkins, limewashed chairs and that was about it. We also got someone to bring all the flowers from the church, back to the marquee, and they dotted them around. We borrowed plants pots and garden furniture from family and friends, for the outside. From my experience I would keep it as simple as possible, and if the marquee is high, make sure you have height with your decorations. The best decision we made with the decoration was to pay the extra for the limewash chairs, it's surprising what a difference nice chairs make. Don't fret the details. My experience was that everybody notices the happiness, atmosphere of having all your nearest and dearest together and yummy food. It turned out nobody commented on how the napkins folded, or any other details. After the wedding, it dawned on me, that although the day was wonderful, and we had all our closest to share it with us, it is only one day of the rest of your lives, and really not worth all the fretting. I was glad for all the things we'd decided not to have, and saved money on. It's reassuring to know, we still have some rainy day money. Feels odd to be able to comment with this is how we did it rather than this is how we're doing it stuff it's nice! I wasn't a worrier, which worried most other people and then in turn worried me that I wasn't more worried and that I was worrying other people… which all just goes to show, you will worry about things – take a notepad to bed and write down the things that are bothering you and then you can sit down at a later date and rationally attack them one by one (and with the help of others to keep you sane!). We didn't do +1's that we hadn't met (apart from 1 person who wouldn't have known anyone else) and everyone was fine with it. If anyone desperately wants to bring their other half they will ask you if you mind, a couple of my evening guests did and whilst I bitched about it at the time I was happy to have them all there on the day (when they pulled me down from the ceiling long enough to say hello!). On the dress situation… I had a short dress which surprised a few people and made others smile in a "I knew she'd have something a bit different" kind of way. Go with what you feel works best for you, there's no point in wearing a white dress if you don't feel like yourself in it – that was the most important bit for me. And we had a wedsite and I'm rather proud of it I would totally recommend it, we used it for RSVPs, menu choices, transport options and we've started putting our pics up there now. If you want to have a gander give me a shout. As for plus ones- asking people and feeling things out is a good start; if you find space really tight, you can team people up at tables- we had a lot of single people who knew nobody else, and made sure to seat them with outgoing, talkative people. We also split up big groups, so there'd be new people for everyone to meet at all the tables, and we didn't end up with a closeknit group and one outsider. I ummed and ahhed about whether to wear white or not to wear white, then one of my closest friends simply said about her sister who wore green "She kind of wishes she had worn white now because it's your one and only chance in your life to wear a white bridal dress". Or words to that effect. That did make me think, and I went for white, and glad I did. But you will know in your heart of hearts what you prefer. Yeah I remember this little dilemma well! We didn't have a cut-and-dried rule like lots of people are mentioning. Instead we looked at everyone individually and worked out whether we wanted/needed to invite their partner. We worked hard at table plans to make sure people coming on their own would get along with who they were sat with (kind of like Aine just mentioned). In the end we invited almost all partners, mostly because we knew the partners too and were friends with them, but there were 3-4 people at the wedding we'd never met. Which is strange I suppose but it was also a lovely first occasion on which to meet them. Weddings are about love and I suppose (I know i'm being cheesy) I felt that people should have their partners who they love accompanying them on the day. *WEDSITES sound brill, i've not come across any yet but they sound like they make it SO much easier for people to RSVP- maybe giving two options like Esme is a good idea so they can send cards if they like…as I liked getting the RSVP cards. I guess you could have a wedsite as a reminder of all the info but you don't have to get people to RSVP that way. The telephone book is so cute! Look forward to hearing what you decide about everything! 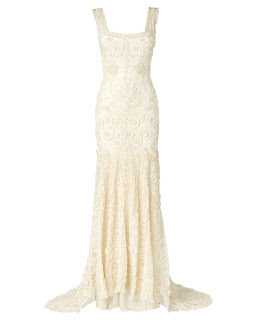 Oh Bella…I didn't wear a white dress, mine was kind of silvery/light grey, so still bridal but not ivory or white. Loads of people commented on the colour, and it was way more flattering to my transluscent Brit skin! My best friend wore Joy in the standard Platinum colour at her weddings and it was stunning. Its definite not a white/ivory dress, just shades of beautiful golds and silvers; but also not too far away from 'bridal' And it sparkles amazingly! If you want to see any pics then let me know! Eeek just read the comments previous to mine properly – just to clarify when I say white… I mean the ivory/silvery group too. Not white as in pure white – noooo! Ooh and I meant to agree with Katie when she said "don't fret the details". Such good advice. Thank you all so much! It's fab to get insights/advice from people who have been there – and those 'going' there too I already feel a lot lighter about the less important aspects of the day. Dress no 2 just turned up…. I am resisting the urge to try it on in the office without a proper bra/shoes!!! Bella, you are wonderful. Fact. Your organization is making me feel breathless though. I have less than 5 months to go an this is the first time I've even realised there will BE napkins at the wedding. Crap-balls. Plus-ones: We are inviting most plus ones, but that's because luckily we know most of them, so I haven't had to worry too much! I think whoever said above (sorry, I have mega sieve-brain today) that they did it on an individual basis was very wise! 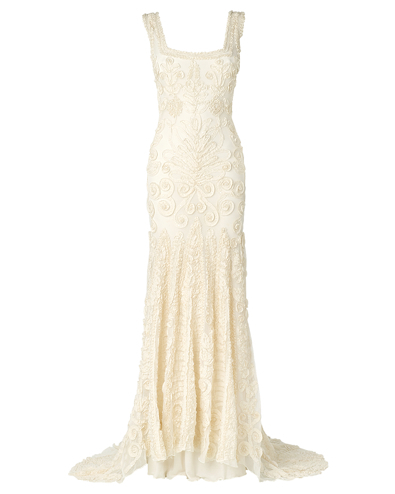 Dress: Mine is a very creamy ivory, but it is still highly bridal. Personally though I wanted a big white bridal cream puff from day 1, so you can ignore me! Just go with your gut. Wedsite: We don't have one, but I have set up a wedding email account, which was the only RSVP option. I will then email people information when I need to. I would have made a wedsite, but both G and I have had a ridiculously busy 6 months and on top of making the invitations (!) we had no time. I think the email option works well though, no worries about making a website look pretty, but the same ease of communication. Plus I get to do my Happy Wedding Email dance every time someone RSVPs. Even if they do it while I'm on the tube. The joys of smart phones. Bella, if you want to talk legal job stuff then Anna has my email. Our venue was because the licence changed. Now we HAVE money and nowhere to spend it on. Bugger. Maybe you could call JP and ask. My friend ended up going for Eden in white and silvery pearl so didn't pursue the green. As for it's your only chance to wear White…its also your only chance to wear an expensive green dress (which you could wear again). Or second hand? Also, has anyone tried Kittie and Dulcie? Also I agree. This made me spit out my tea with giggles. We didn't have a formal rule about +1s, we invited partners who we knew or were long term. It was only something I thought about properly with a friend who wouldn't have known anyone else, so I said would she like to bring a +1 so she brought another friend from uni who I know so that worked out quite nicely. And the other people I offered +1s to were my bridesmaids and they said no so we ended up having a really fun girly night together so that worked out well too. But if your guest list is getting too big then I think sticking to a rule could help in reining it in. In terms of having a wedsite, we had a blog with all the additonal info I didn't want to overload the invites with – like directions, where to park etc. We set up an email address that people could reply to or ask questions via but not many people used it. Most RSVPs were sent in the post (so much fun coming home to them in the letterbox!) and close friends and family used my normal email to contact me (to my slight annoyance). Dress wise, if you've already thought that you wouldn't feel comfortable in white then I think that's your answer. I never considered not wearing a white dress, it was just a matter of finding the right white rather than creamy, ivory to suit my skin tone, so if your first thoughts when thinking about a wedding dress were that you didn't want to wear a traditional bridal colour, then I think you've already made the decision. There was a wedding featured on RMW ages ago that had a bride in a gorgeous silver dress, maybe go have a search for that as an example if you want to see a real bride in something different? Amy f – we took 9 months to find our venue, don't worry you'll find it eventually! Esme – I can't believe some people replied to your parents, I'd have been so rageful about that! Also, similar to your napkins – I spent ages sourcing stripey straws in all our rainbow colours from the US only to realise, when looking through our photos a couple of months ago, that the caterers only used one or two colours! Grrr. P.S to decorate a marquee that size use olive trees on the tables, it gives height and you can give them as gifts. You can get two for £40 at M & S and they're a fantastic non tacky shade of green. I'd also recommend opening the sides of the marquee to avoid having to pay for those off White linings and bringing in the outside, inside I.e free. Am sure it will be fantastic. We can all have an AOW away day where we come and do up your marquee.